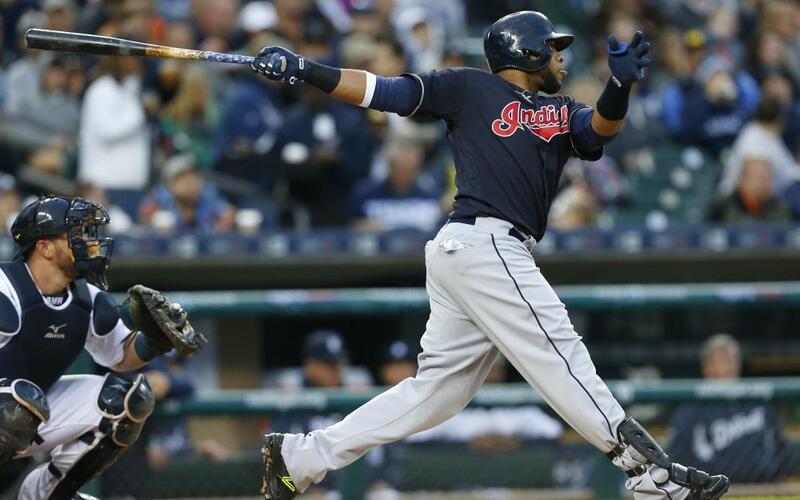 Carlos Santana was 0-1 with 1 R and 2 BB against the Orioles. Santana is hitting .223 with 14 HR, 49 R, 48 RBI, and 1 SB. Besides the batting average Santana numbers in line with what he has been doing the past five seasons. He is one that is never going to have a high batting average but he is sporting a career-low .217 BABIP compared to his .266 career average. Besides his rookie season in 2010 Santana has the highest hard-hit rate of his career (39%) which makes his BABIP look even more out of the ordinary. Santana still carries more value in OBP leagues due to a career .365 OBP and he has not disappointed there this year with a .361 OBP. He is someone to buy low on in standard 5x5 leagues due to his low batting average but above average underlying skills. Jose Quintana went 6 IP and gave up 2 ER on 5 H, 3 BB, and 4 K's against the Tigers. Quintana has a 4.22 ERA over 91.2 IP which nearly matches his advanced metrics such as SIERA (4.49). His strikeout rate is back down to 21% after spiking to 26% last year and his usual good control has disappeared with an 11% walk rate. The strikeouts do not look like they are going to come back with just an 8% swinging strike rate and his out of zone chase rate has fallen as well. Hard contact is also up for Quintana to a career high 40%. These are trouble signs for the Cubs 29-year old lefty. Chase Anderson went 6.1 IP and gave up 1 ER on 3 H, 1 BB, and 5 K's against the Twins. Anderson has taken a major step back after having a breakout 2017 season. He has a 3.99 ERA, 1.13 WHIP, and 73 K/36 BB over 94.2 IP. He has seen his strikeout rate drop below league average to 19% which is supported by a drop in his swinging strike rate as well from 10.2% to 8.6%. His walk rate has increased from 7% a year ago to 10% this year. The key to Anderson's success a year ago was limiting home runs (0.86 HR/9) after averaging 1.29 HR/9 for his career. This year his home run issue has returned in full force to 1.73 HR/9. This is why his SIERA is 4.80 because his skills do not indicate that he can maintain a 3.99 ERA. Don't hold onto the successes of a year ago and look objectively at the skills. Anthony Rizzo was 0-2 off the bench against the Tigers. Rizzo has had a disappointing year to date. He is hitting .248 with 12 HR, 36 R, 58 RBI, and 3 SB. The underlying skills say that he has been unlucky and that he should be fine going forward. He has an above average ability to make contact (12% K) with a double digit walk rate (10% BB). He is sporting a .249 BABIP compared to his career average of .284. His batted ball profile in terms of hard contact and fly balls is in line with his career average so his power numbers should return the healthier his back gets. Rizzo is someone to buy low if someone in your league is looking at his overall numbers and are disappointed. Rich Hill went 5 IP and gave up 2 ER on 4 H, 1 BB, and 5 K's against the Pirates. Rich Hill has struggled this year with both production and health. He has a 4.56 ERA over 47.1 IP. His advanced metrics (3.99 SIERA) like him to pitch better going forward but still point towards a league average starter compared to an above average like the past couple of years. His strikeout rate has fallen to 24% from 30% last year and this is in line with a drop in his swinging strike rate as well from 12% to 8%. Hill is also giving up a career high 43% hard contact which has resulted in 1.91 HR/9. The assumption has been that when healthy Hill will produce like a fantasy ace but that can no longer be safely assumed because his skills have declined. He is also a major health risk due to recurring blister issues. Hill's stock is definitely trending down but he gets a plus matchup in San Diego against the Padres in his next matchup.